The potential for Google to bring up to 20,000 workers to the Diridon area across 8 million SQFT of new development is the most exciting news Downtown has had in the last 30 years. Imwalle Properties and real estate investor Gary Dillabough have partnered to acquire Camera 12 and are looking at some form of entertainment use for the space. Twenty of Downtown's best restaurants will celebrate Dine Downtown with prix fixe meals until July 16th, check dinedowntownsj.com for more info. Mayor Sam Liccardo has asked for an economic study of the economic trade-offs Downtown has faced due to the airport height restrictions. The goal would be to raise Downtown height restrictions as much as possible. Two residential towers on the former Greyhound bus site at 70 S. Almaden are on track to be built by 2020. The 708-unit project would also include 14,000 SQFT of retail. 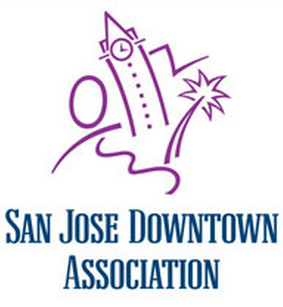 Local Color and the City of San Jose were awarded Knight Cities Challenge grants of $180k and $150k respectively. Local Color will use the funds to hire a program manager while the city has used it to hire a principal city designer. San Jose is looking for new technology to replace its Parking Access and Control System in eight Downtown garages. New features couple potentially expedite entry and exit into city garages. Uproar Brewery is now open at 439 S. First St. in SoFA. Enso dance and night club opened June 17th in the former Freddie J's space at 97 E. Santa Clara St.